Video is everywhere these days and increasingly we see it used in e-learning courses. And when done well, video can make a huge difference in the effectiveness of your e-learning courses, as well as engage your learners. Where using video makes sense and why. Ways to use video in Storyline and how to optimally design it in. Community experiences, knowledge, and tips and tricks from our recent survey. Last, we will briefly look at possible sources of video for your courses, as well as some software tools that you can use to create videos, like for popular whiteboard/explainer videos (e.g., VideoScribe, PowToon, or Vyond). 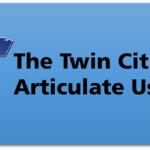 Interested in the Twin Cities Articulate User Group? Click here to learn more or join.